SHEBOYGAN FALLS, Wis. - Revere Greist and Pat McGinnis each came home with SCCA Formula Continental National wins for ArmsUp Motorsports in a two week span. Greist and the ArmsUp team put in a dominating performance at the SCCA Cat National sweeping the top two positions in FC with Greist winning and Kirk Kindsfater running a close second. One week later Pat McGinnis scored his maiden FC triumph during the SCCA Heat Wave National at the Gateway International Speedway. The two wins provide some good momentum for the team as the SCCA National Championship Runoffs draw ever closer. 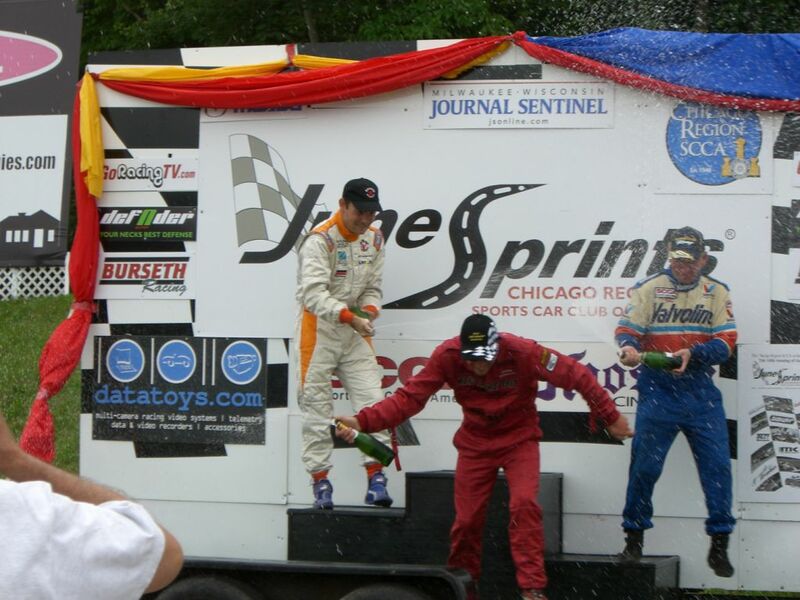 Revere Greist scored his first victory Formula Continental win at Road America during the CAT National. 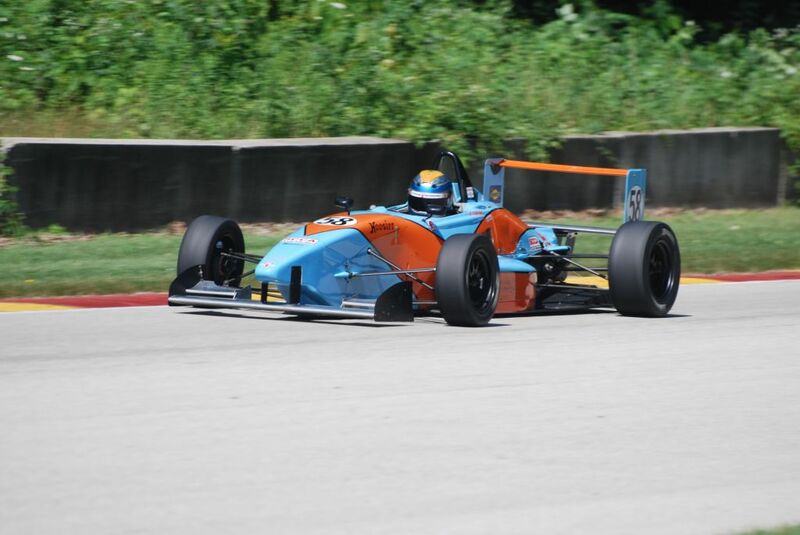 ELKHART LAKE, Wis. - Revere Greist brought ArmsUp Motorsports a runner-up finish during the 54th running of the SCCA June Sprints in Formula Continental. The Elkhart Lake based team had a full fleet of cars, with seven drivers competing in FC and one Formula Atlantic car running. Kirk Kindsfater, Jim Victor and Pat McGinnis all joined Greist with top-10 results behind the wheel of their ArmsUp Motorsports prepared Formula Continental machinery. Revere Greist (left) celebrates his second consecutive June Sprints podium finish.